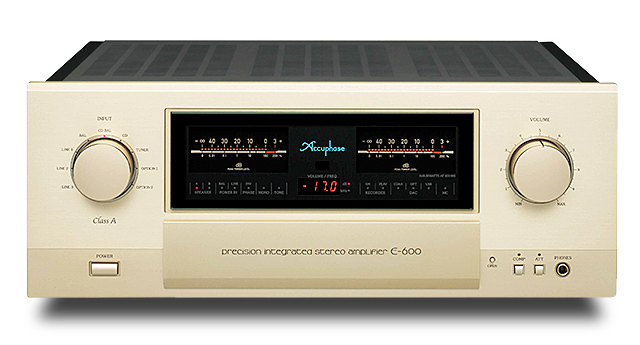 Aiming for the even higher performance level set by separate type amplifiers, the E-600 makes full use of the sophisticated design technology accumulated by Accuphase over the years. Featuring a further refined AAVA type volume control, latest circuit topology, and parts and materials of the highest grade, the E-600 is the non-plus-ultra integrated amplifier imbued with the spirit of the 40th anniversary commemorative models. 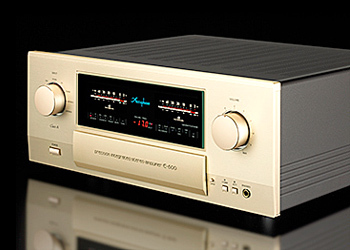 AAVA (Accuphase Analog Vari-gain Amplifier) volume control in the E-600 employs the same high-rigidity volume sensor, extruded from a solid aluminum block and featuring an ultra-massive brass shaft, originally developed for the models C-2820/C-2420. Operating the knob provides an utterly smooth operation feel. 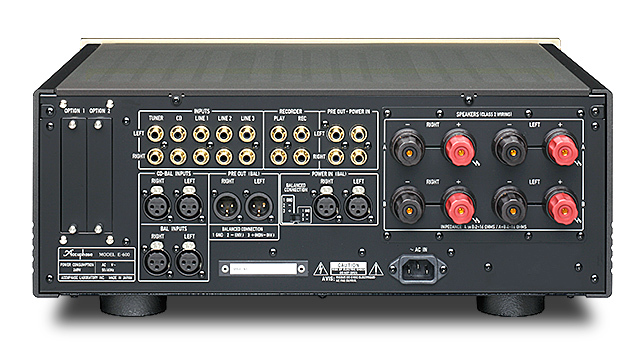 Paired with a drastic improvement in S/N ratio through low impedance circuit design, the E-600 takes both performance and build quality to a new level. The power amplifier block is configured with the latest instrumentation amplifier topology, which enables fully balanced signal transmission throughout. Together with MCS+ and the current feedback amplification principle, this makes for even better electrical characteristics. Specifications and design subject to change without notice for improvements.